Today was the first day Mr Peck was at college and I was home alone all day... It was nice/lonely/a lot of procrastination/lazy/fun. 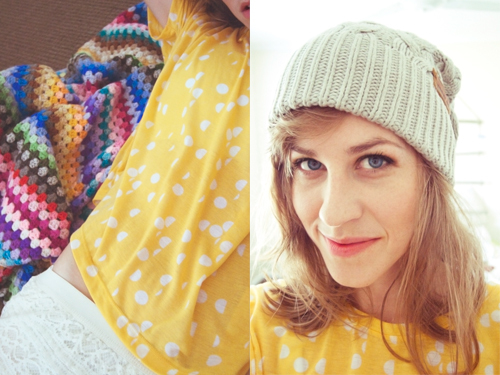 To celebrate I did a mini photoshoot... just me and my camera, plus a dotty yellow top, messy hair, lace shorts, oversized beanie, and a crocheted blanket... All the good stuff!